The lack of public transit directions in Apple Maps may be baffling, but it looks like the company is finally going to take care of this glaring omission soon. 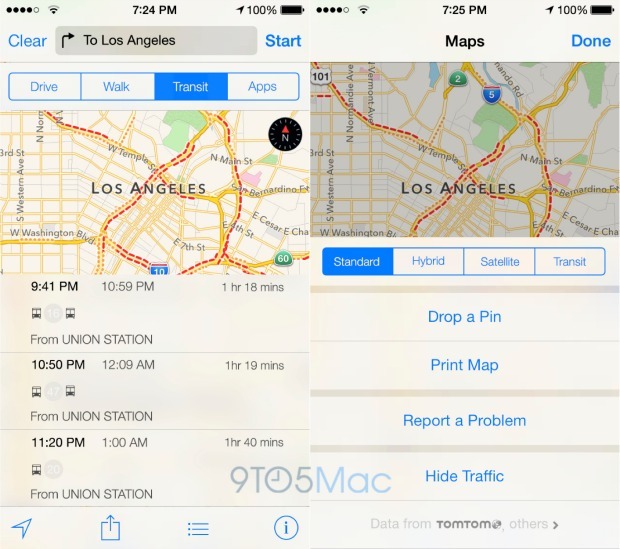 According to a new rumor, transit directions will be added to the Apple Maps app that will be part of iOS 9. Apple’s next version of its mobile operating system should be demoed in June at the company’s annual developer-focused conference (WWDC). As in previous years, we expect iOS 9 to be released around the time the new iPhones ship, so probably in the fall. Transit directions should have made it to Apple Maps last year, but the feature was pulled at the last minute before WWDC 2014. At this year’s event, though, this will be presented as the biggest upgrade to Apple Maps. The UI for the transit directions should be similar to what you can see in the leaked image above. Apple has apparently been continuously working on this feature for a very long time now, adding new cities and refining the data since last year. There’s also going to be a push notification which you’ll get every time a new city gets support. Alongside all of this, Apple has progressed on its indoor mapping project, although the release of this particular functionality may get pushed to next year. Regardless of when it launches, it will allow for navigation of major buildings and landmarks. To collect data for this project, Apple is using autonomous robots with iBeacon sensors. As for iOS 9, it’s been revealed yesterday that it might make use of the “San Francisco” font first seen in the Apple Watch.